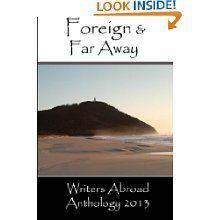 I’m delighted today – Foreign and Far Away by Writers Abroad is being launched. It’s a selection of fiction, non-fiction and poetry written by expats (or former expats) around the world. The G8 Summit in Northern Ireland this June made me recall my encounters with the security forces since I first arrived in the province – from bumping into the barrel of a gun outside a pub to dandering past foot patrols unnoticed in Enniskillen this summer. So that’s what I wrote about for this book. Foreign and Far Away, the fourth anthology published by Writers Abroad, explores the relationship between people and the landscapes and settings they live in. An eclectic range of writing evokes the diversities, similarities, connections and misunderstandings of life in foreign places. Author Amanda Hodgkinson, who has lived in Southwest France since 2002, has written the foreword. Her multi-award-winning debut novel, 22 Britannia Road, was published in 2011. 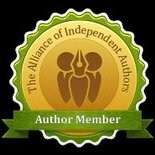 Writers Abroad received 219 submissions of which they selected 94 for the anthology. Of these, 23 are contributions from Writers Abroad members. The anthology includes 38 short stories, 37 non-fiction articles and 19 poems. Book Aid International will benefit from the proceeds of this year’s anthology. This charity increases access to books and supports literacy, education and development in sub-Saharan Africa. They provided 543,280 new books to over 2,000 libraries in 2012 and have sent more than 30 million books to partner libraries since 1954. Foreign and Far Away can be purchased on Amazon UK and Amazon US. This entry was posted in October 2013 and tagged Dianne Ascroft, ex-pat writers, Foreign and Far Away, Writers Abroad. Bookmark the permalink. Expecting my copy any day now. I’m looking forward to reading your contribution. From your brief description of it here, it sounds quite exciting! Great to be sharing space with you in the ToC again this year.